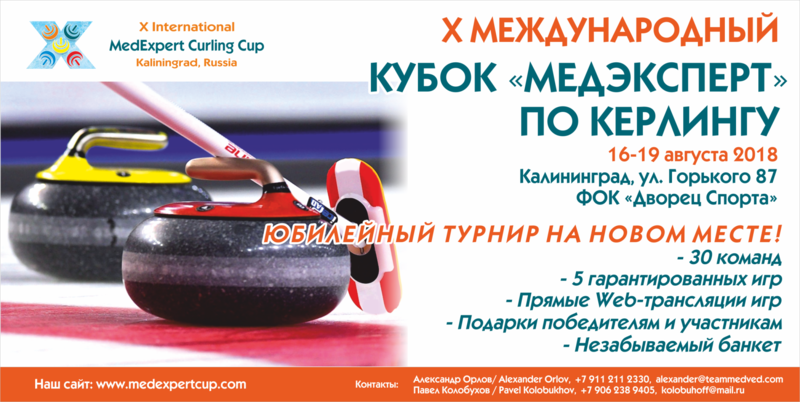 From 16th to 19th of August 2018 in the city of Kaliningrad (Russia), 10th annual MedExpert Curling Cup 2018 will be held. The competition will be attended by 30 teams from different regions of Russia and Europe countries. The tournament is organized by "MedExpert" Company, with the support of the Kaliningrad region government and Kaliningrad Curling Federation (FedeKKo). The competitions will last four days. Each team is guaranteed 5 games.